The Turks and Caicos Islands are a British Overseas Territory consisting of the largerCaicos Islands and smaller Turks Islands, two groups of tropical islands in the Lucayan Archipelago, part of the larger Antilles island grouping. They are known primarily for tourism and as an offshore financial centre. 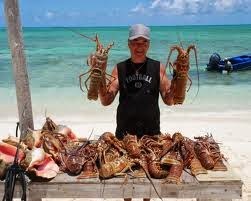 The total population is about 31,500, of whom 23,769 live on Providenciales in the Caicos Islands. The Turks and Caicos Islands lie southeast of Mayaguana in the Bahamas island chain and north of the island of Hispaniola. Cockburn Town, the capital since 1766, is situated on Grand Turk Island about 1,042 kilometres (647 mi) east-southeast of Miami, United States. The islands have a total land area of 430 square kilometres (170 sq mi). They are geographically contiguous with the Bahamas, but are politically separate. through Bermuda, the Bahamas, and Jamaica. When the Bahamas gained independence in 1973, the islands received their owngovernor and have remained a separate autonomous British Overseas Territory since. In August 2009, the United Kingdom suspended the Turks and Caicos Islands' self-government after allegations of ministerial corruption. Home rule was restored in the islands after theNovember 2012 elections. The Turks and Caicos Islands are named after the Turk's-cap cactus (Melocactus communis), and the Lucayan term caya hico, meaning string of islands. The first inhabitants of the islands were Arawakan-speaking Taíno people, who crossed over from Hispaniola sometime from AD 500 to 800. 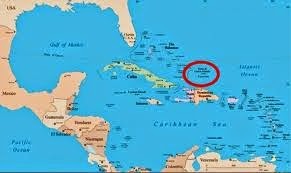 Together with Taino who migrated from Cuba to the southern Bahamas around the same time, these people developed as the Lucayan. Around 1200 the Turks and Caicos Islands were resettled by Classical Taínos from Hispaniola. Soon after the Spanish arrived in the islands in 1492, or 1512, they began capturing the Taíno of the Turks and Caicos Islands and the Lucayan as slaves (technically, as workers in the encomienda system) to replace the largely depleted native population of Hispaniola. The southern Bahama Islands and the Turks and Caicos Islands were completely depopulated by about 1513, and remained so until the 17th century. The first documented European to sight the islands was Spanish conquistador Juan Ponce de León, who did so in 1512. During the 16th, 17th and 18th centuries, the islands passed from Spanish, to French, to British control, but none of the three powers ever established any settlements.. In 2006, GDP contributions were as follows: Hotels & Restaurants 23.27%, Financial Services 29.64%, Construction 48.71%, Wholesale & Retail Trade 20.89% and Health & Social Work 10.83%. [clarification needed] Most capital goods and food for domestic consumption are imported. In 2006, major sources of government revenue included Import Duties (37%), Stamp Duties from Property Transactions (20%), Work Permits and Residency Fees (9%) and Accommodation Tax (9%). The territory's gross domestic product as of late 2006 is approximately US$722 million (per capita $17,112), with an inflation rate of 3.7%. The unemployment rate in 2007 was 5.4%. In 2006–2007, the territory took in revenues of $202.5 million against expenditures of $199.5 million. In 1995, the island received economic aid worth $5.7 million. The territory's currency is the United States dollar, with a few government fines (such as airport infractions) being payable in pounds sterling. Most commemorative coin issues are denominated in crowns. The primary agricultural products include limited amounts of maize, beans, cassava (tapioca) and citrus fruits. 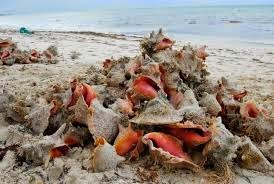 Fish and conch are the only significant export, with some $169.2 million of lobster, dried and fresh conch, and conch shells exported in 2000, primarily to the United Kingdom and the United States. In recent years, however, the catch has been declining. The territory used to be an important trans-shipment point for South American narcotics destined for the United States, but due to the ongoing pressure of a combined American, Bahamian and Turks and Caicos effort this trade has been greatly reduced. The islands import food and beverages, tobacco, clothing, manufacture and construction materials, primarily from the United States and the United Kingdom. Imports totalled $581 million in 2007. The islands produce and consume about 5 GWh of electricity, per year, all of which comes from fossil fuels..